Every person ages in different ways. Some develop redness, age or sun spots. Others have large pores, fine lines and wrinkles or lax skin. You may have one, two or all of these conditions. Solihull Medical Cosmetic Clinic under the supervision of Dr Sagoo is proud to be the first clinic in the UK to offer the latest laser treatment that may help with sun damage or aging skin. Unlike current laser treatments, which may only target one or two signs of aging, Laser 3D Skin Rejuvenation may target three layers of the skin (superficial, middle and deep dermis) all in one treatment! Utilising a three tiered approach, the 3D laser may improve a variety of conditions, including redness, age or sun spots, large pores, fine lines, wrinkles and lax skin. All at the same time, with no downtime and non-invasive. Men and women of any age who wish to improve their skin can be treated. The most common conditions that this treatment may help with are surface wrinkles, redness, brown spots and enlarged pores. The most popular treatment areas are the face and neck but other body parts such as the hands, arms and abdomen can also be treated. Using three different laser treatments to treat the three different layers of the skin, the first intense pulsed light feels like a mild brief pinching sensation. 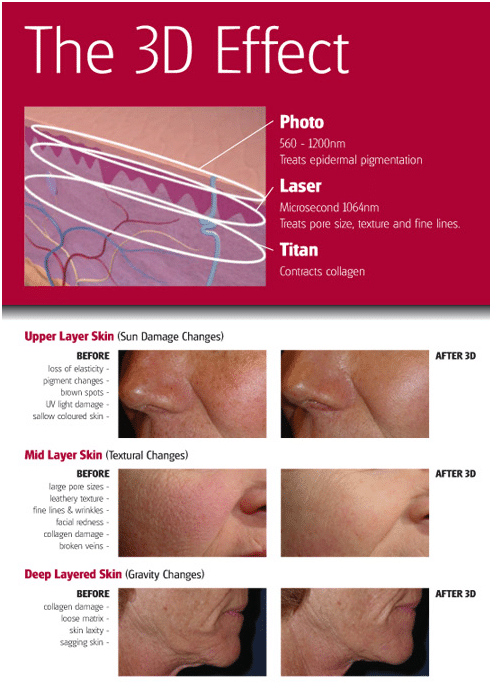 The second laser photo-rejuventaion feels gentle and soothing. Most patients are comfortable without feeling any pain, in the session you will feel warm pulses along your skin. The 3rd is radiofrequency energy which works on the deep level of the skin to tighten. This leads to generalised heating of the skin to optimum temperatures to cause immediate collagen contraction followed by gradual collagen contraction over a course of treatments. Each treatment regime is different and customised to an individuals needs. Most patients can expect up to 4 to 6 treatments. The most common side effect is slight redness or mild swelling that disappears within a few hours. Most people see results within two to four weeks, and improvement may continue for several months. Results will vary from person to person. 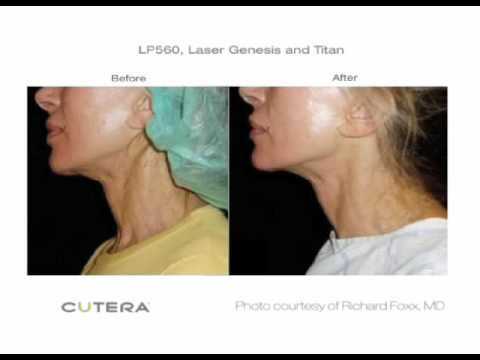 What are the three laser treatments used at the same time? IPL is a light based treatment that may improve problems right at the skin’s surface, such as redness, mottled complexions, freckles and sun damage. 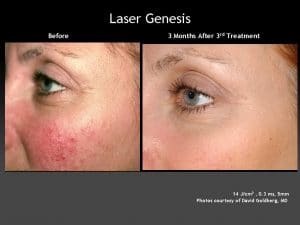 Laser Genesis utilizes non-invasive, non-ablative laser technology to effect the protein collagen molecules and the vessels in the dermis. Parameters of treatment are selected that create a gentle warming of the skin while these structures are targeted. Long-chain collagen molecules are shortened and the growth of new collagen facilitated. The Laser Genesis safely, discretely and effectively treat fine line wrinkles, large pores, uneven skin texture, diffuse redness and scars. You can expect to see subtle yet consistent results after each treatment, without unwanted side effects such as bruising or excessive skin irritation. Treatments can be performed in a relaxed, comfortable manner without the use of topical anesthetics or gel. 3. Fractora Forma uses radiofrequency wave to heat tissue, which leads to skin contraction of loose skin. Dr Sagoo is the leading doctor in the UK using 3D Laser Skin. He has been featured in the ‘Daily Mail and ‘Eve’ magazine offering his expert advice on this, the latest in skin rejuvenation treatment. Some people do not have the skin laxity but have all the other signs of sun damage. Therefore a customised programme using only pulse light and photo rejuvenation is used. This is called 2D skin rejuvenation, and targets the superficial and middle layers of the skin. Some people only have superficial sun damaged skin, and may require only the laser photo rejuvenation treatment or the pulsed light treatment on its own. Therefore only one of the three treatments are used.